The British biking industry fell on hard times in the 70’s and 80’s. And, let’s be honest: in the 90’s. But Triumph has walked a long, hard road out of hell, and their current products can stand toe-to-toe with the best the Japanese, Italian, or German industries can produce. In fact, they seem to straddle the line between the refined Japanese offerings and the slightly more… quirky Italian bikes, offering precision, handling, and performance with just enough character to keep things interesting. 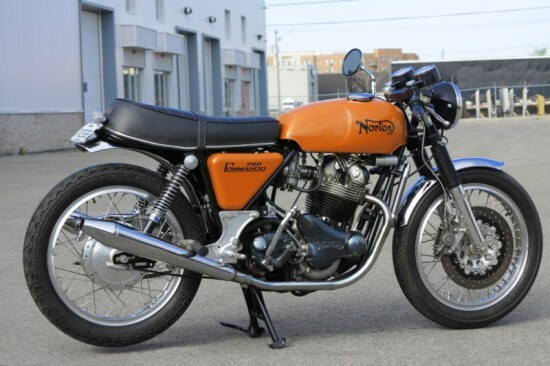 But, in spite a number of attempts to rejuvenate long lost Norton, it’s been a bumpy ride. They appear poised for yet another comeback, but a reentry into the boutique market means they’re far from attainable to the masses in the way that Triumph currently is. 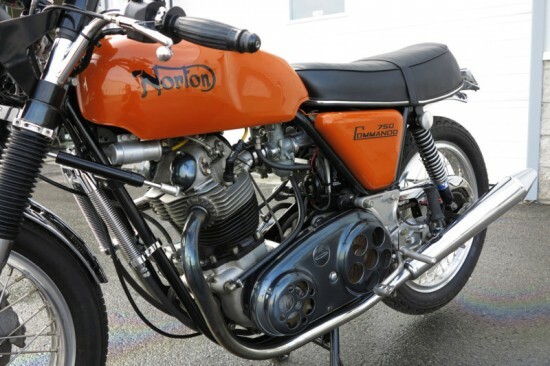 The Norton Commando is a classic British parallel twin and, although Nortons do require careful care and feeding, they reward their riders with boatloads of feel and character. 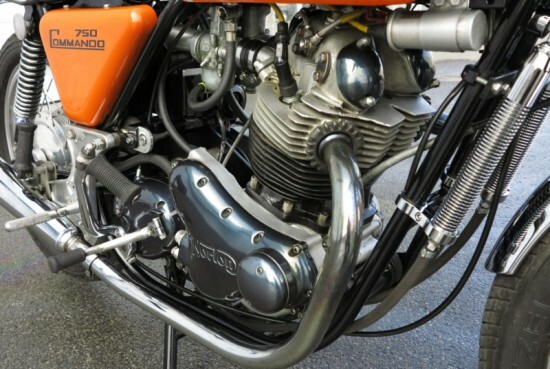 The “Combat” version was introduced as the hot-rod version of the Commando, and the name turned out to be unfortunately accurate: the high-compression motors blew up regularly and gave the bikes a perhaps undeserved reputation, given that the standard Commandos were generally very durable. Out of date and unreliable when compared to their rivals at the time, Norton faded into history. It has a modified 750 Combat engine, lightweight front fork, dry belt with pierced cover, aluminium rims, brand new tires, lightweight front suspension, shorten and reinforced frame, floating front disc brake, oil cooler, steering damper, aluminum triple crown kit, swan neck handlebars, high output kit, electronic ignition, velocity stacks, and much, much more. It still has Amal’s on. The engine is a 1971, while the modified frame is a 1969. The only non-matching items are my peashooters since the original ones got stolen! I am in Montreal Quebec (Canada). This bike is loud, very light compared to an original Commando and very fast for its respective age! Fantastic runner, starts on the first kick! A few paint chips missing on the gas tank and side covers. Covers and various parts were powder coated in black (looks like transparent grey). Chrome and stainless steel are in excellent condition. Mileage is definitely not accurate. This is no garage queen for sure, but it looks like a great opportunity to buy a well-maintained, well-ridden bike to relive your “ton-up” youth on, or live the fantasy of a youth you didn’t have. 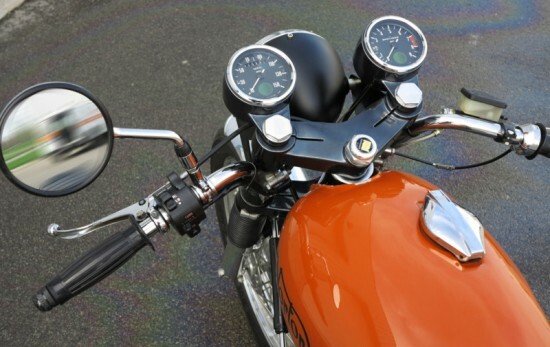 Next story Reader’s Ride: 1976 Honda CB360T for Sale With 690 Miles!